It's no secret that I kind of love Starbucks. I've tried lots of coffee shops, but in Japan, Starbucks is the winner, hands down. 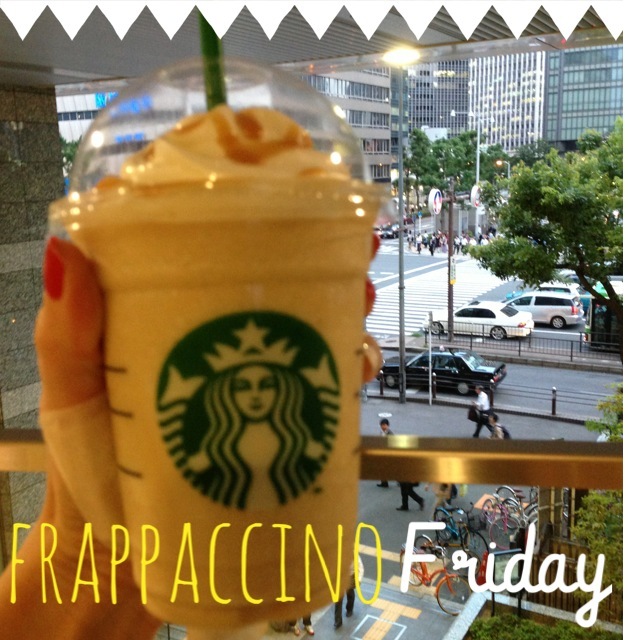 I've un-officially deemed my Fridays, Frappaccino Friday. After school, I catch a train straight to Umeda where I find the Starbucks with the shortest line, and order myself a tall caramel frappaccino. It's terribly unhealthy, but oh my goodness it tastes so good! Seeing as I don't finish work until 6pm, every other day I rush home to throw together something for dinner so that I can eat and go to bed at a decent hour, but Fridays are my day to splurge and take advantage of living in the city. For me, it's the perfect start to the weekend.